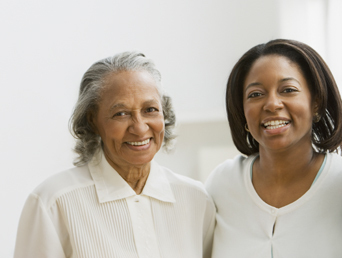 If you're like millions of other family caregivers, you want the best care for your aging loved one. You know how challenging it is to drive to different appointments, manage medications and coordinate care between doctors. And you struggle with leaving your loved one at home alone during the day. We're pleased to tell you that it doesn't have to be this way! Thousands of families across America have found a different and better kind of care through PACE programs like LIFE PACE. These families have found PACE programs are best suited to coordinate the care and services needed to keep their loved ones living at home. LIFE PACE recognizes how important safety, independence, and quality of life are to both you and your loved one and we strive to make things simple, effective, and, best of all, enjoyable when it comes to setting the course for those precious golden years. A LIFE PACE interdisciplinary team, including a LIFE PACE physician and specialists from a panel of LIFE PACE providers, works closely with family caregivers to develop individual care plans. By coordinating each individual's care needs, the LIFE PACE team provides the helping hands so important to the health and well-being of aging adults. LIFE PACE relies on forming vital partnerships with caregivers, allowing families to be actively engaged in their loves ones care. Caregiver support groups meet monthly. These groups give caregivers an opportunity to come together and share their experiences with eldercare, as well as to gain information about specific topics that will help in their caregiving journeys. Although the groups are not just available for those caring for someone with dementia, all three are facilitated by Alzheimer’s Association certified group leaders. For more information, call LIFE's SeniorLine at (918) 664-9000 or email info@LIFEseniorservices.org. 3rd Tuesday of each month - 5:00 p.m. - 6 p.m.
2nd Thursday of each month - 3:00 p.m. - 4:30 p.m.
1st Thursday of each month - 6:00 p.m. - 7:30 p.m.
For more information about Caregiver Support Groups, call LIFE's SeniorLine at (918) 664-9000. LIFE Senior Services is available for personalized information and resource counseling to help caregivers cope with the challenges of caregiving and access services that can be helpful for both you and your loved one. Call LIFE’s SeniorLine at (918) 664-9000 for more information. Qualifying participants in the LIFE PACE program are transported to and from LIFE's Adult Day Health/LIFE PACE Center, the new LIFE PACE Alternative Care site near 31st and Sheridan, and all medically-necessary appointments on an as-needed basis to receive healthcare, social services, nutritious meals and to participate in various rehabilitative and recreational activities. For hearing impaired and TTY users, dial 7-1-1 and ask to be connected to (918) 949-9969. Call us at (918) 949-9969 and speak to our friendly intake staff, who will arrange a personal visit with you in your home or in the LIFE PACE Center to explain the program in more detail.